Heart valves, artwork. At bottom are the valves between the heart and the two arteries leaving the heart, the aorta (red) and the pulmonary artery (blue). These are the two semilunar valves, the aortic valve and the pulmonary valve. They prevent blood flow back into the heart. The other two valves are the atrioventricular valves that lie within the heart itself, preventing backflow between its chambers. 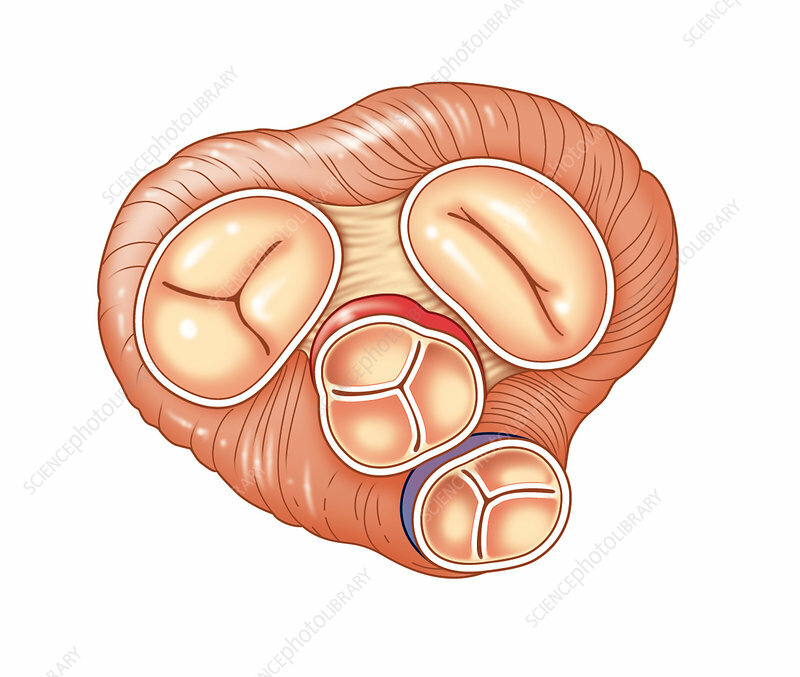 The mitral valve (bicuspid valve, upper right) has two flaps and lies between the left atrium and the left ventricle. The tricuspid valve (three flaps, upper left) lies between the right atrium and the right ventricle.